In addition to the tracking capabilities of Tracker Retrieve, Tracker Alert offers you further peace of mind: It keeps a watchful eye over your parked vehicle. With the latest motion-sensing technology, Tracker Alert can activate Tracker’s extensive recovery arsenal if your vehicle moves in an ‘armed’ state. Tracker Alert is approved by major insurers and motor manufacturers with capabilities in neighbouring countries such as Lesotho, Swaziland and Mozambique. 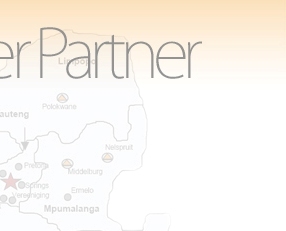 Tracker enjoys a unique partnership with the South African Police Service (SAPS), which operates on a nationwide basis in South Africa. Tracker provides the SAPS with an effective, internationally-proven weapon in the war against vehicle crime. Tracker is the only fully comprehensive Stolen Vehicle Recovery System used in conjunction with the SAPS. Tracker has achieved more recoveries which has led to more arrests than any tracking company in Africa. The tracking unit can only be activated or deactivated by Tracker's National Secure Operating Centre. Tracker is one of the fastest growing systems, with more than 10 000 units being installed every month. When you install Tracker, you could qualify for a substantial discount on your insurance premiums or an incentive from your insurance company. Tracker has some 1 300 vehicles and 50 aircraft in its arsenal. When Tracker Alert is installed in your vehicle, you will be given a fully automatic Tracker Alert key fob (remote activator). When you park your vehicle, the Tracker Alert unit automatically turns on once the keyfob has been removed from the vehicle. When the vehicle starts moving again, the Tracker Alert system attempts to establish a connection with the key fob. A connection will only be established if the key fob is in the vehicle. If, after the predetermined time, a signal is not received from the key fob (indicating that you are not in the car), Tracker Alert sends an alarm notification to Tracker’s Secure Operating Centre. Tracker’s Secure Operating Centre will then contact you to enquire whether or not you are aware that your vehicle is moving. If you confirm that the movement is unauthorised, your vehicle’s Tracker System will be activated through the normal Tracker procedures and protocols, and the recovery process will start immediately. Tracker Alert is not an anti-hijacking system – it simply lets you know if your vehicle has been moved without your consent. For the system to be effective it is vital that you never leave the fob in the car and we advise that you don’t attach it to your car keys. Rather carry it in your pocket, wallet or handbag. Each client is entitled to two free “false alerts” per month – thereafter there will be a charge of R15 per false alert.